Kathmandu [Nepal], Mar 24 (ANI): Nepal Prime Minister KP Sharma Oli has promised to make public the report of Terai-Madhesh unrest probe committee after the government goes through it. 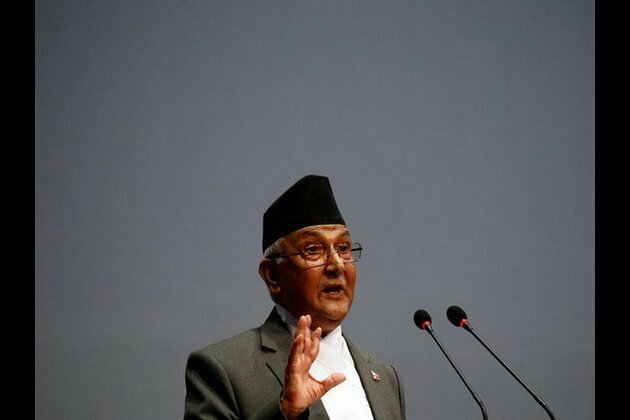 Addressing the last day of the current winter session of Nepal Parliament, Prime Minister Oli in his one hour address promised to release the report which was submitted to then Prime Minister Sher Bahadur Deuba in December 2017. "The report by Girish Chandra Lal is not the thing that couldn't be made public. There is no reason for the delay in making it public. It is a report, a report is a recommendation we cannot be sure that it is absolute," Oli said. "While studying there is a question over how the person has investigated it in limited time, what are the results; they are the secondary things. But that report will be studied by the Government and there won't be any problem in making it public," Oli said. The Rastriya Janata Party-Nepal has been long demanding for the release of the report, which was submitted to the Government of Nepal in December 2017. The party had demanded the release of the report on Sunday too and obstructed the House proceedings. The Members of Parliament of the party stood up from their respective seats as a gesture of protest as soon as the session commenced. In a bid to settle the issue, House Speaker Krishna Bahadur Mahara gave time to lawmaker Laxman Lal Karna to put forth his views. "We have been raising this issue time and again, taking special time too. Wherever and whenever we raise this issue, the government did not pay attention. So, we are compelled to obstruct the parliament," RJP-N MP Laxman Lal Karna said before Prime Minister Oli's address to the parliament on Sunday. The high-level probe commission on Terai- Madhesh unrest was led by Former Justice of the apex court of Nepal, Judge Girish Chandra Lal, formed in the year of 2016. The probe committee was formed to investigate the incidents of killing, violence, destruction of properties, and arson at the time of Madhesh agitation. The tenure of the high commission was extended by three times after it faced difficulties over starting the probe and the final report submitted to the government had 709 pages. The commission has had prepared the report after studying 1,326 complaints received from various communication channels and an additional 1,938 complaints from the Madhesh based parties. The commission has entertained as many as 3,264 complaints to prepare the final report with field visits. The restive Southern Plains of Nepal witnessed bloodshed and widespread protest with reports of human rights abuse and destruction of the properties worth millions of rupees after the promulgation of the Constitution in 2015. The Tikapur incident which became the centre of the attention and the bloodiest place with the massacre of 7 police personnel including Nepal Police Senior Superintendent of Police Laxman Neupane, Seti Zonal Police Office, Dhangadhi and a two-year-old boy.